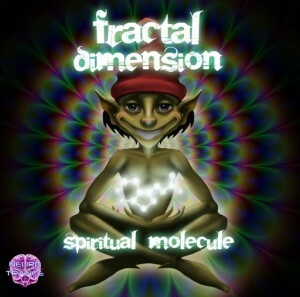 Neurotrance Records presents Spiritual Molecule, three tracks by Macedonian psytrance producer Fractal Dimension, who first got into music at age 14 as the lead guitarist for a local metal band. After taking up DJing and discovering psytrance he began to produce his own electronic music. Now he’s ready to share his style: cosmic energy with new school Goa trance influences. Expect deep atmospheres, melodic leads, magical sound effects, and powerful bass lines. Mastered by Erofex with artwork by Stevce Lazarevski. MP3 Download | FLAC Download | WAV Download · Download count: 6,180.